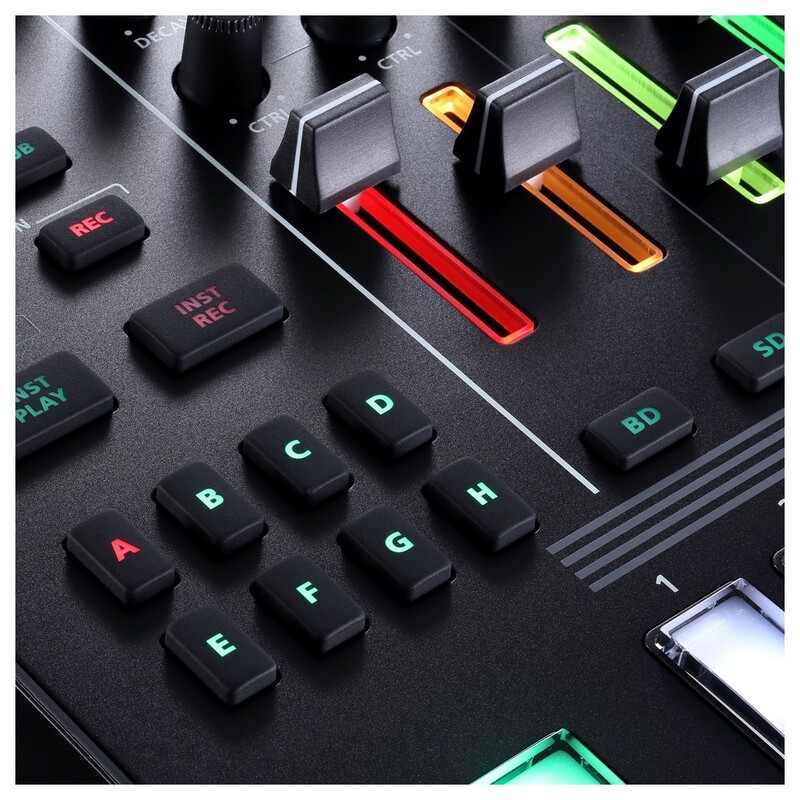 The Roland AIRA TR-8S Rhythm Performer builds on the success of the original AIRA-TR8 Rhythm Performer, with a range of enhancements and new features. 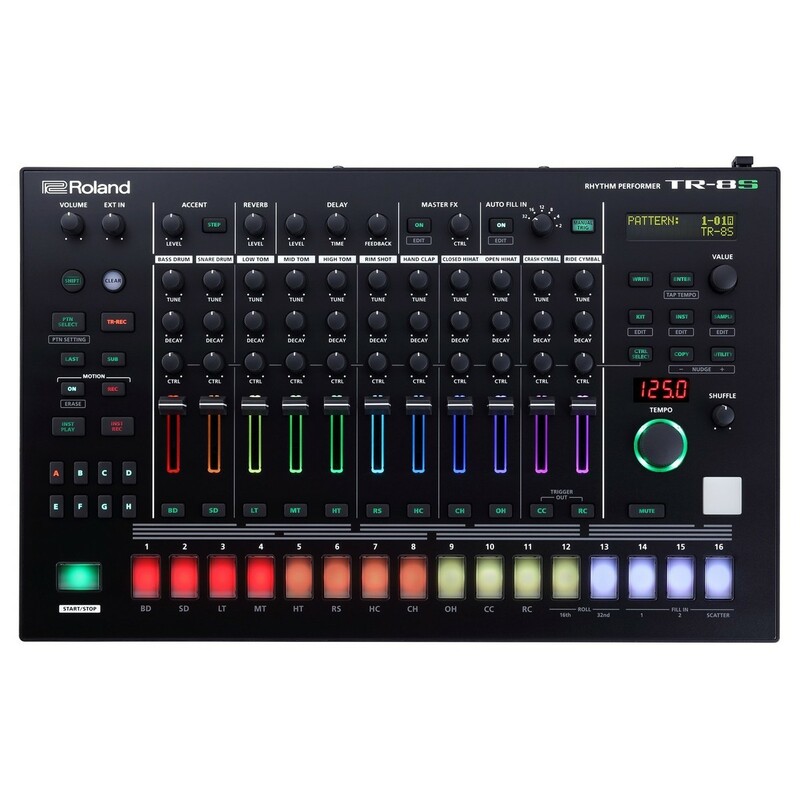 One of the most unique features of the TR-8S is the inclusion of all the most sought-after TR drum machines including authentic recreations of the 808, 909, 707, 727, 606 and more. 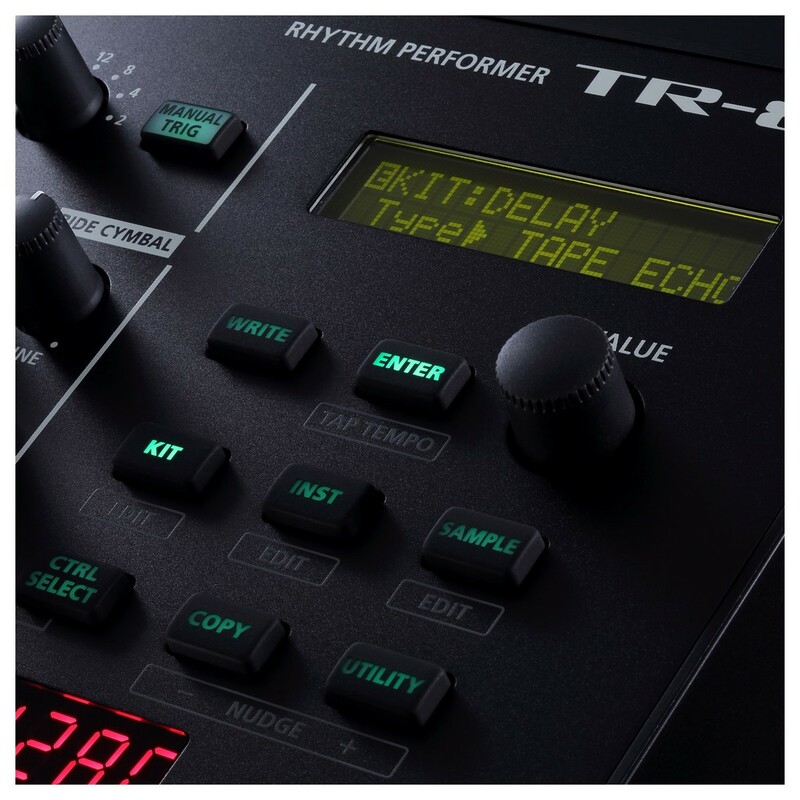 The TR-8S Rhythm Performer is powered by Roland's custom ACB technology, ensuring the utmost authenticity when it comes to the analog songs, behaving like the original hardware. This revolutionary, performance-tuned instrument is ideal for both stage and studio applications. 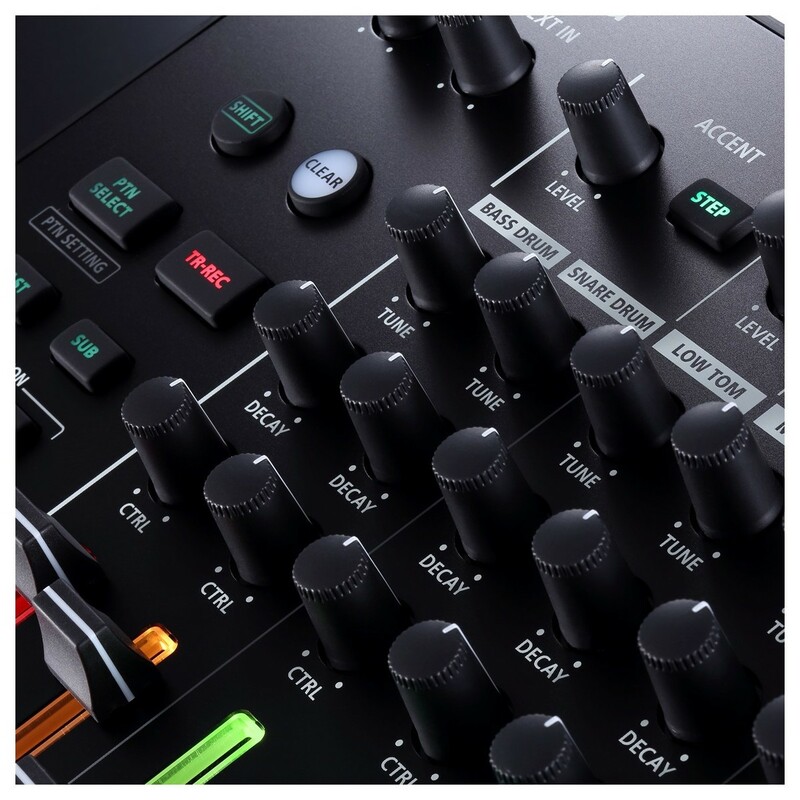 Its comprehensive control section features intuitive controls in the form of a 16-step sequencer, faders, precision attenuators, transport controls and more. You can also import your own samples using the integrated SD card slot for building custom kits and more. 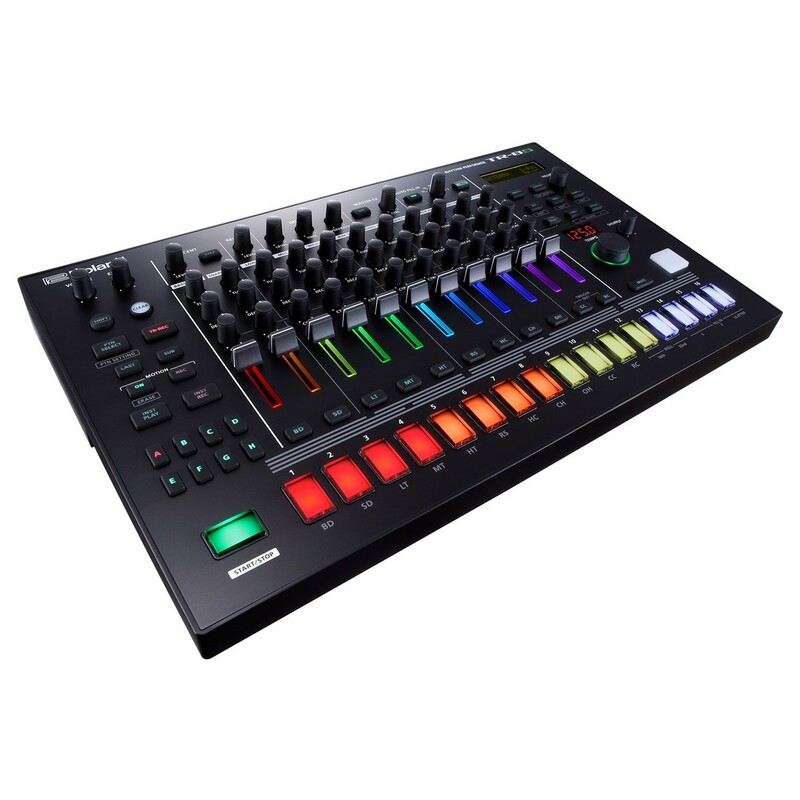 The Roland AIRA TR-8S has been purposely designed to be the perfect live performance instrument, with exceptional audio fidelity, an ergonomic yet comprehensive control section and more. 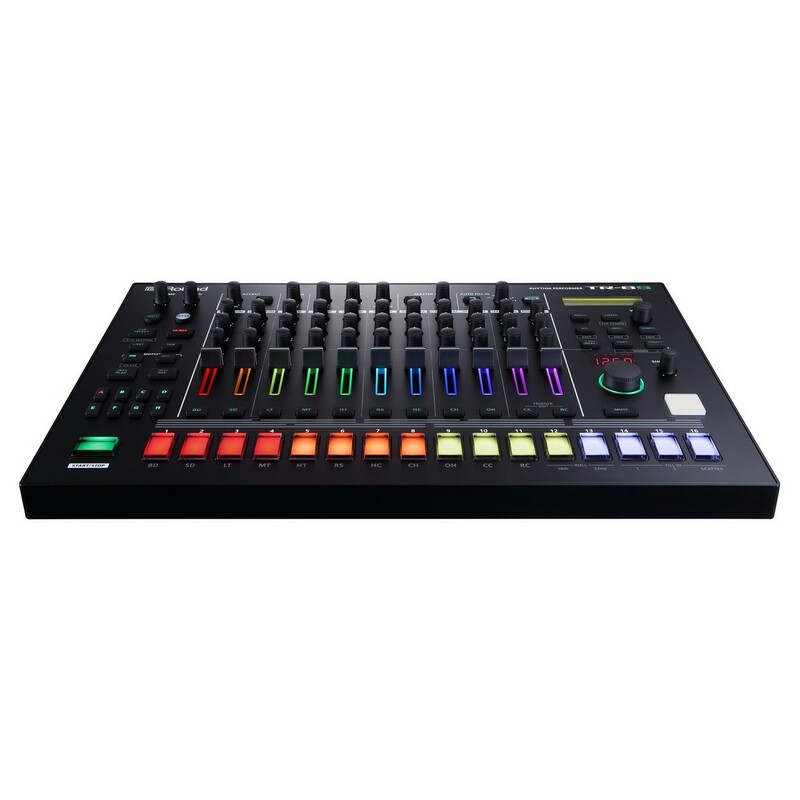 The AIRA TR-8S builds on the success of previous versions, taking the design of the original TR-8 drum machine and enhancing virtually every section. 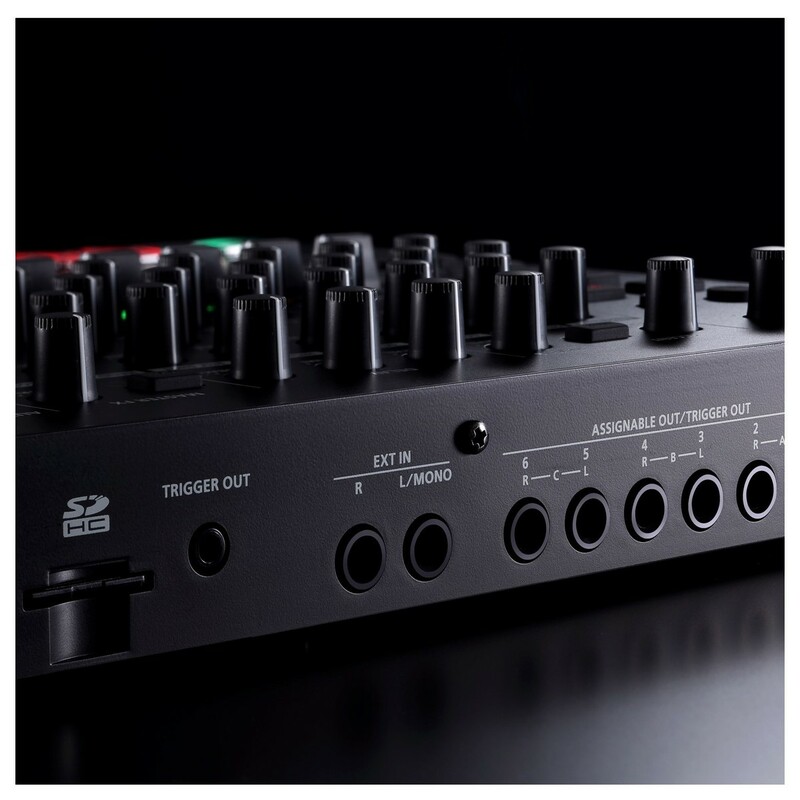 One of the most prominent features of the AIRA TR-8S is the built-in 16-step sequencer. This sequencer is reminiscent of classic Roland TR-series drum machines, keeping the same style, swing and snap as the originals. You can also incorporate your own samples, via the SD card slot allowing you to customise your sound collection to make custom patterns and grooves. The intuitive design is intended to improve workflow, for a fluid and simple playability. 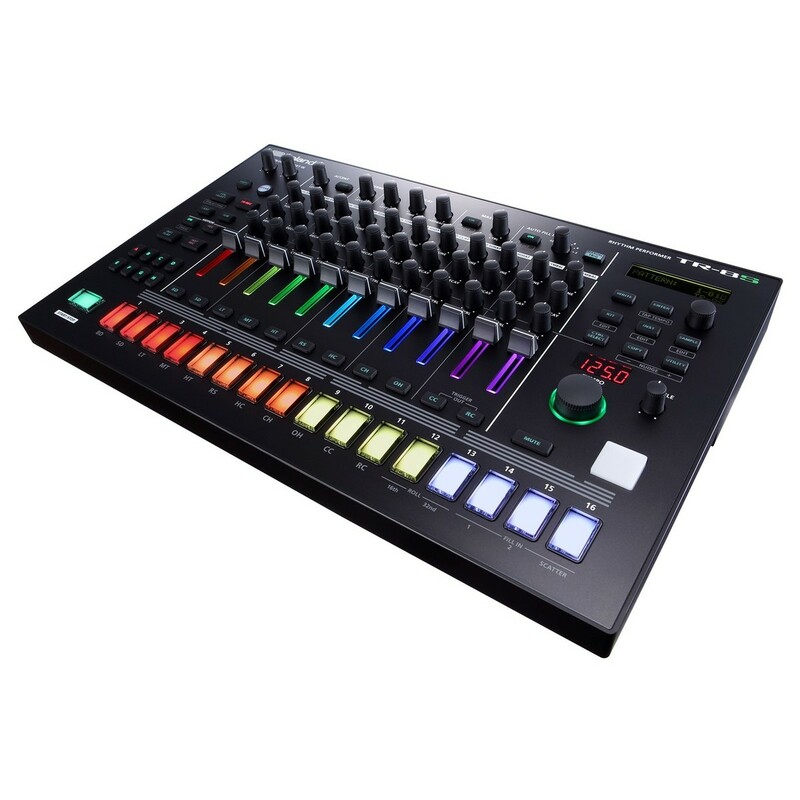 One of the most unique features of the AIRA TR-8S, is the inclusion of the most renowned and sought-after TR drum machines. 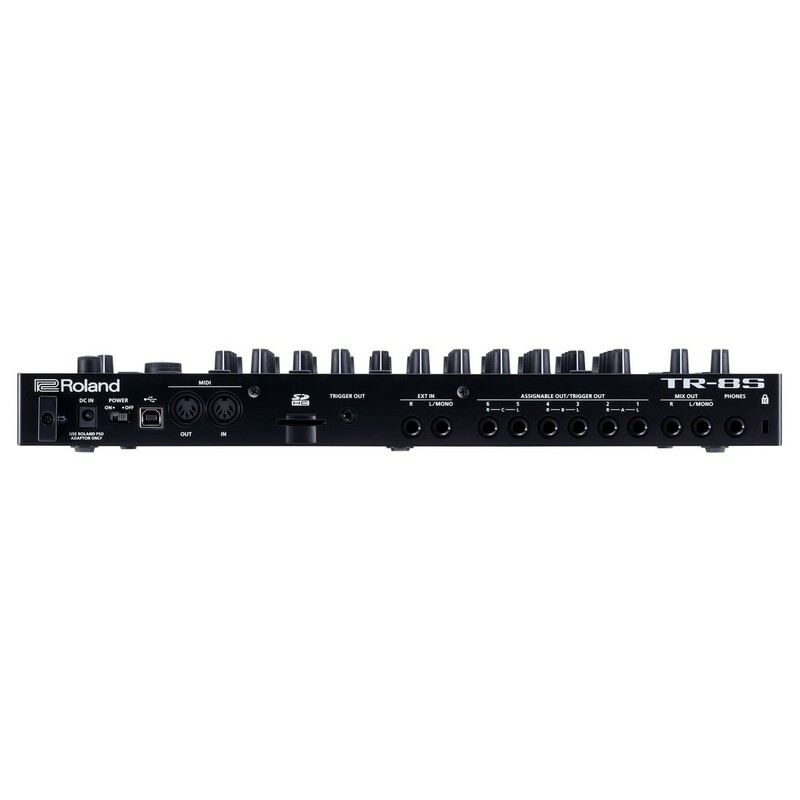 The Rhythm Performer provides detailed circuit-models of the 808, 606 , 909, 707, 727 and several modified versions. Each of the included drum machines are detailed and faithful recreations of the original, behaving and sounding like the original units. The drum machines have been recreated with the utmost attention to detail, using Roland’s custom ACB (analog circuit behaviour technology). One of the most versatile upgrades for the TR-8S is the ability to import your own custom samples and sounds via the SD card slot. Once you have imported your sound, you are provided with immediate hands-on control of your samples, so you can manipulate them to your liking using the integrated effects and control section. The comprehensive and intuitive control section is designed for fast and fluid playability, making it ideal as a live performance instrument. It features 16 TR-Rec buttons for creating sequences on the fly. You can also us the velocity-sensitive performance pad to play live and/or record directly into the sequencer. The seamless transition between playing and editing allows you to easily shape your sound while you play live, providing some interesting results. You can do everything from straight forward drum loops to create complex rhythms, detailed fills with velocity, accent and flam variations and more. You can also adjust the last step of each drum part for creating unusual rhythms. The ability to move between patterns, samples, kits and sound seamlessly is paramount when performing live. Roland have given you the ability to store up to 128-patterns, each allowing for up to eight variations, which can be triggered on their own or simultaneously as a chain for evolving sequences. Each pattern also includes tempo and kit information, as well as total recall of all knob positions and effect settings for added convenience. This allows you to instantly recall the exact sound, effect chain and pattern for truly expressive playability. 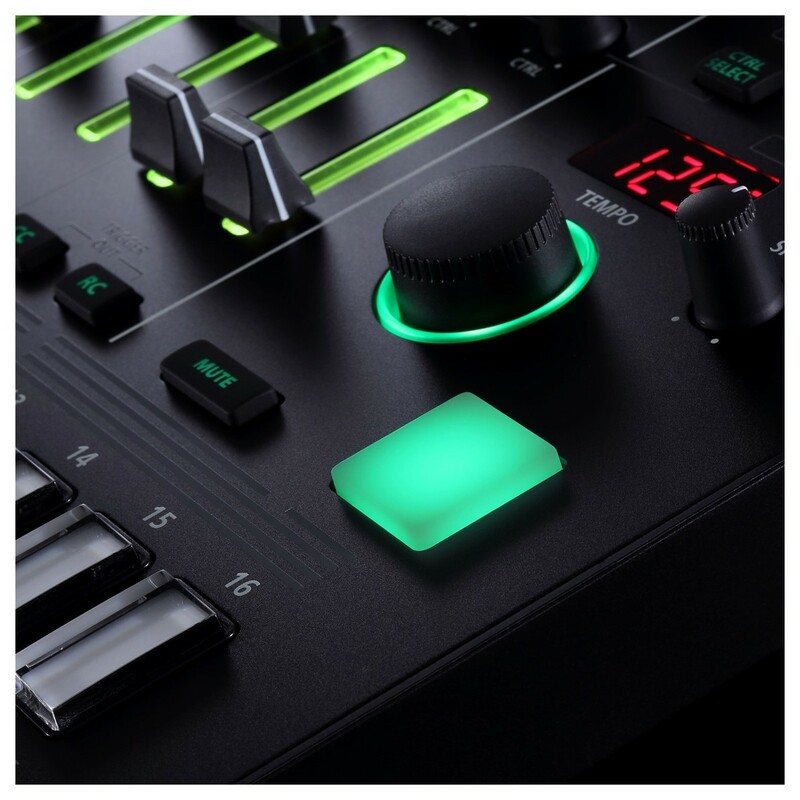 One of the most unique features of the AIRA TR-8S is the motion recording functionality. This allows you to input detailed technique into your drum tracks. This means you can lock parameters to steps, or record automation into your patterns for maximum versatility. You can do everything from automate drum tuning, pitch, panning and more. Each pattern also provides you with two fills, which you create from scratch or customise from preset fills. As well as giving you the ability to craft and customise your sounds and sequences, the Rhythm Performer also includes a range of premium-grade effects. These effects can be used for a variety of applications, from adding a simple reverb to a Snare for added dispersion, to totally changing the tone and style of a sound. The specialised percussion-tuned effects range from Delays and Reverbs to Compressors, Distortion, Phasers, Flangers and more. In addition to its wide range of intuitive controls and unique functions, the Rhythm Performer boasts a wide range of analog connectivity. It features eight separate analog outputs for processing individual drum sounds, as well as processing sounds. 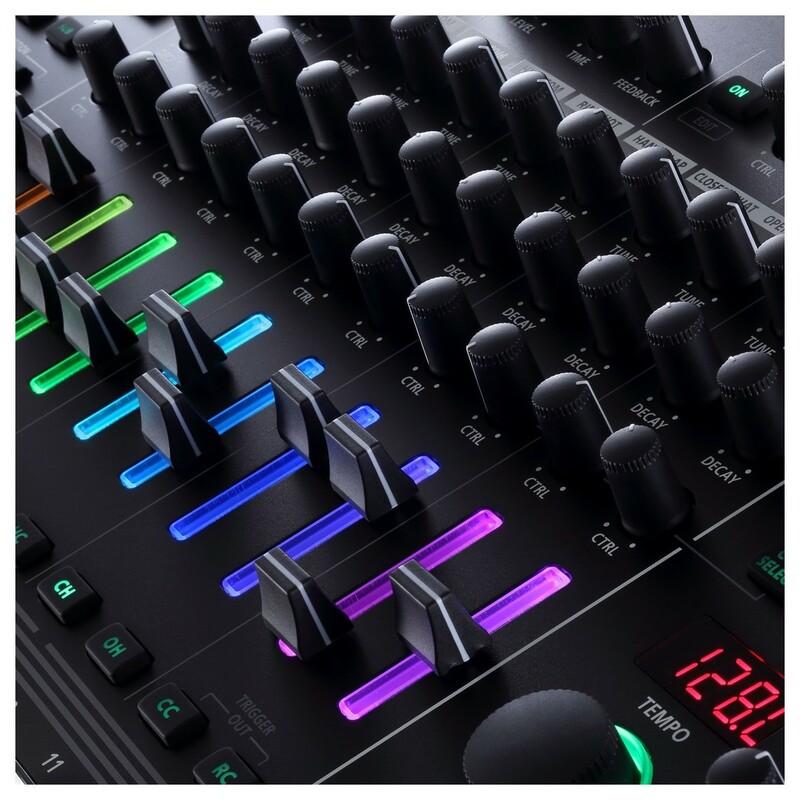 You can use the outputs to communicate with mixers or DAWs, providing exceptional audio fidelity, thanks to the high-resolution 24-bit/96kHz digital-to-analog converters. It also features a dedicated trigger output as well as stereo audio inputs for external sources.